The William Henry TW1 Chablis Pen is a beautifully constructed pen that's the first twist pen in the William Henry WaveLock writing instrument collection. 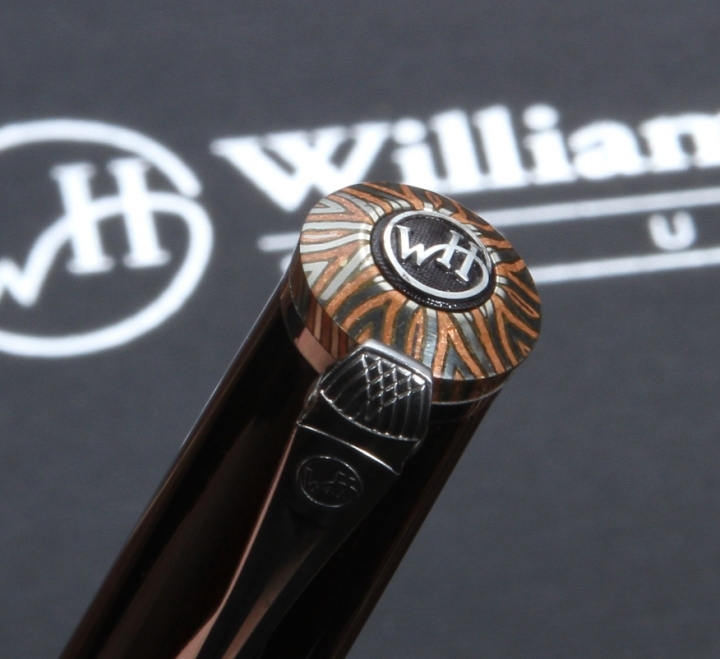 Utilizing exotic materials that are popular in William Henry Knives, the TWI pen mirrors the mission and aesthetics of all William Henry products. 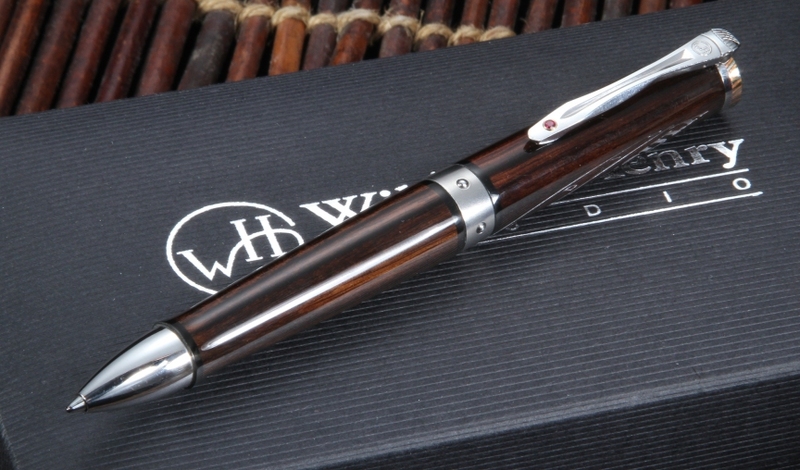 The Chablis 1202 itself is a handsome crafted out of macassar ebony, making it a classic pen to have in your collection. Underneath the macassar ebony is a strong, titanium and stainless steel frame with a black silver medallion. With the accents of hand-forged mokume gane and ebonite, the pen provides a sleek look meant to last a lifetime. The American-made pen's pocket clip is also made from stainless steel, inset with ruby for pronounced beauty. The twist mechanism allows you to deploy the pen when needed, so that it does not leak on accident and removes the need for a cap. The interior frame built speaks to a design that will not wear down, no matter how frequently you use the pen. The pen accepts the widely available Schmidt Easy Flow 9000 ballpoint pen cartridge. As with all KnifeArt products, William Henry TW1 Chablis Pen will ship out to you free with same business day shipping in the U.S. All our products come with the same satisfaction guarantee to all our customers, to make sure that you are happy with your item. Whether it's a pen or a knife, we want to make sure you receive the item you expected, or your money back with our easy return policy. 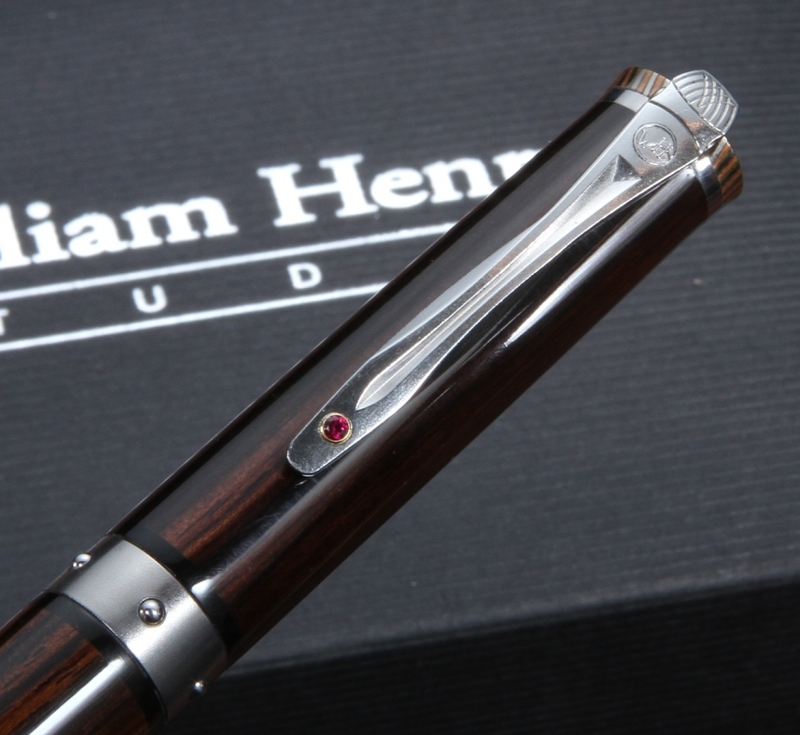 Order today to receive your authentic, unique William Henry Chablis Pen today.